Our early Tuesday morning swim and the changing rooms, always deserted before, have become a disconcerting gothic scene of hanging rubber gimp suits! It is TEK Camp at Vobster and they have got here before us. These are not swimmers’ wetsuits, these are so reinforced, padded and booted they are practically people all on their own. 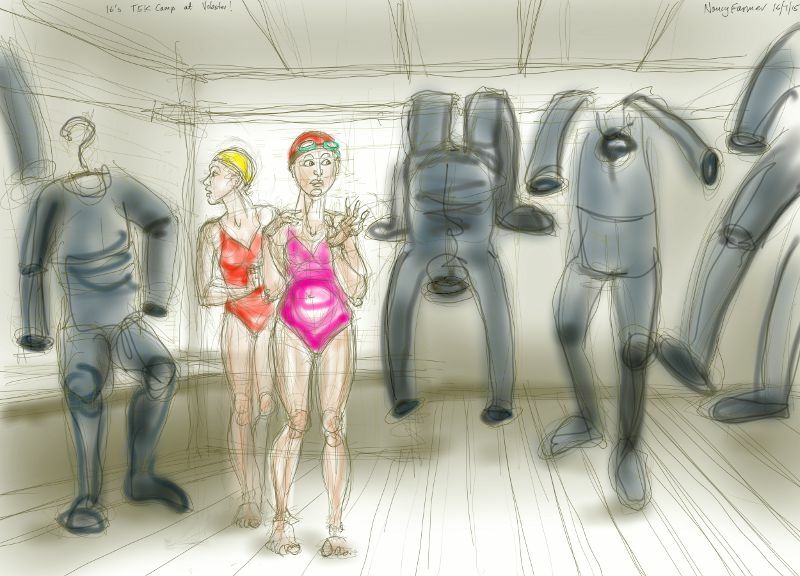 This entry was posted in swimming and tagged art, diving, drawing, illustration, sketch, swimming, Vobster Quay, wetsuit on July 16, 2015 by Nancy Farmer.